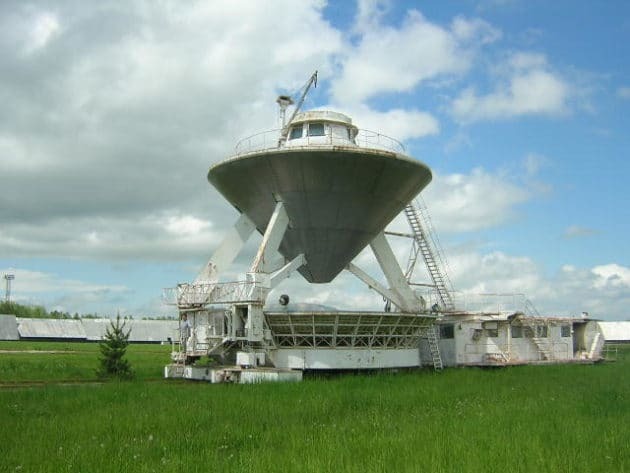 In May 15, 2015, a strong signal was detected by the RATAN-600 radio telescope in Russia. The transmission came from the direction of a star called HD164595, located around 95 light-years away from Earth in the Hercules constellation, and astronomers think this “strange” signal is worth investigating…for aliens? To back up a bit: One interesting detail about the star is that it is pretty much like our Sun: it’s 99% the Sun’s mass and has a temperature only 12 Kelvin hotter than the Sun. It’s metallicity is almost the same as the Sun’s, and it’s only 100 million years younger. In terms of universe figures, that’s not a big age gap. What’s even more intriguing is the fact that the signature detected came at a frequency consistent with that of an intentional transmission, sparking astronomers’ interest enough to circulate the readings with their peers and sending at least two research groups from SETI the (Search for Extraterrestrial Intelligence) looking to the skies to track the star. Studying the mysterious signal also made its way onto the agenda for the IAA (International Academy of Astronautics) SETI Permanent Committee’s meeting in Guadalajara, Mexico, which is set for this September 27th. As many publications have already noted, if the signal did come from an alien beacon, it would have been from a Kardashev Type II civilization (the kind of culture that can harness the energy from a whole star). “If that beacon is transmitting radio waves in all directions, the energy it would need to produce is a whopping 1020 watts,” notes SETI astronomer Seth Shostak. “It’s hundreds of times more than all the energy falling on the Earth from sunlight,” Shostak clarifies. Yet, the possibility that the signal came from an advanced civilization in an attempt to make their presence known (or indeed, came from aliens at all) is low. “The signal may be real, but I suspect it’s not ET. There are other possibilities for a wide-band signal such as this, and they’re caused by natural sources (or even terrestrial interference),” Shostak wrote in an email to GeekWire. And this case is especially marred because the Russian observatory waited over a year to announce the detection. “Standard SETI protocols call for confirmation of possible signals from a separate observatory. This helps ensure that the original signal didn’t arise from a technical glitch in the original observatory, and it helps rule out a hoax perpetuated by some enterprising graduate students targeting a SETI experiment,” Doug Vakoch, president of San Francisco-based METI International, noted. I was one of the many people who received the email with the subject “Candidate SETI SIGNAL DETECTED by Russians from star HD 164595 by virtue of RATAN-600 radio telescope.” Since the email did come from known SETI researchers, I looked over the presentation. I was unimpressed. In one out of 39 scans that passed over the star showed a signal at about 4.5 times the mean noise power with a profile somewhat like the beam profile. Of course SETI@home has seen millions of potential signals with similar characteristics, but it takes more than that to make a good candidate. Multiple detections are a minimum criterion. Because the receivers used were making broad band measurements, there’s really nothing about this “signal” that would distinguish it from a natural radio transient (stellar flare, active galactic nucleus, microlensing of a background source, etc.) There’s also nothing that could distinguish it from a satellite passing through the telescope field of view. All in all, it’s relatively uninteresting from a SETI standpoint. But, of course, it’s been announced to the media. Reporters won’t have the background to know it’s not interesting. Because the media has it, and since this business runs on media, everyone will look at it. ATA is looking at it. I assume Breakthrough will look at it. Someone will look at it with Arecibo, and we’ll be along for the ride. And I’ll check the SETI@home database around that position. And we’ll all find nothing. It’s not our first time at this rodeo, so we know how it works. The research should be completed soon, and we will know more at that time (but don’t count on ET).